Onsite Renovation Group Now Meets TWICE a Month! PLEASE NOTE: Due to the popularity of the Onsite Renovation Group and the number of rehabs we would like to visit, we’re excited to announce that we’ve expanded the Onsite to MEET TWICE A MONTH! 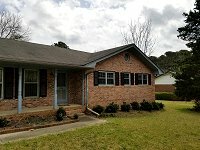 Come See This New Rehab Project in Snellville! Hands-On Learning at Real “Onsite” Atlanta Area Renovation Projects Now Twice a Month! Please join us on Tuesday, May 1st at NOON for the Atlanta REIA Onsite Renovation Group (ORG), hosted by Don DeRosa and Dustin Griffin, to learn all about finding, funding, fixing, and flipping houses for big profits right here in the Atlanta Metro Area at an active job site. Starting on May 1st at NOON, we are expanding the Onsite Renovation Group to meet TWICE per month on the 1st and 3rd Tuesday at NOON to highlight other local rehabber’s fix and flip projects! 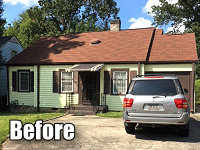 If you want to learn to rehab houses, Atlanta REIA and the Onsite is the group for you! On May 1st at NOON, the Onsite Renovation Group will be meeting a new rehab project located at 2744 Greenvalley Rd in Snellville, GA. This is a 1,646 sq ft, 3 bedroom, 2 bath home built in 1972. It is an ugly, run down house that needs lots of updating. At the meeting, you can see the progress that has been made to the house so far as well as the designs for the new rehab. 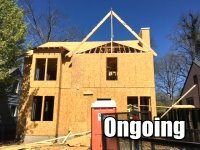 In addition to updating the house throughout, several walls are being torn down or relocated to open the floor plan and expand the existing bedrooms and baths. Come see this house now (before) and in a few months (after) and see how the house will be transformed into a gorgeous, modern day home! The Onsite Renovation Group meets on the 1st and 3rd Tuesday each month at NOON at an active renovation site, build site or rental property which will vary from month to month. As always, there is no charge for Atlanta REIA members to attend. Guests & Non-Members can RSVP Online for Only $15 or pay $20 at the door. Come join us and RSVP Now! If so, please join us Wednesday, April 25th at 7PM at the Property Protege Group (PPG) hosted by Don DeRosa and Dustin Griffin at 3125 Presidential Pkwy, Atlanta, GA.
Come See This Pop-the-Top Renovation Project in ATL! 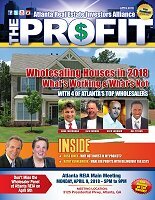 Please join us on Tuesday, April 17th at NOON for the Atlanta REIA Onsite Renovation Group (ORG), hosted by Don DeRosa and Dustin Griffin, to learn all about finding, funding, fixing, and flipping houses for big profits right here in the Atlanta Metro Area at an active job site. 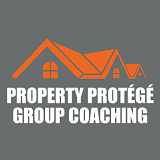 If you want to learn to rehab houses, this is the group for you! 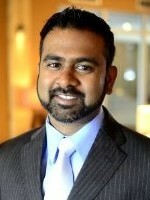 This month’s Onsite Renovation Group meeting will be held at a property managed by Manesh Hardeo, of Networth Realty, which is located at 2724 Tupelo Street SE in Atlanta, GA. This is a house in East Lake that was purchased from the original owner and was very well maintained. Manesh purchased the property to pop-the-top and double the square footage and turn the house into a 4 bedroom, 3 bath, 2,100 square foot home. The house is expected to be finished in May. Come join us to see the progress is coming along on this major rehab! How would you like to know how to raise capital? What would your life be like if you knew how to raise money for your business and your personal social causes? Would you like to know and have the tools and techniques, so you may accomplish your goals and needs? 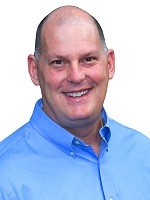 RSVP Now and join us this Wednesday with Russ Hiner who will teach you what you need to know about raising money at the Atlanta REIA South/Multi-Family Real Estate Meeting at 6PM on Wed, April 11th at The Club E at 3707 Main St. in College Park. 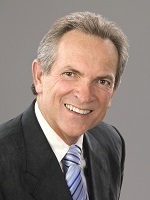 Russ lives right here in the Atlanta area, and has 30 plus years of real estate experience. Russ’ greatest skills are his people skills and believes communication is the key to solving many problems. If you want to know how to finance your dreams and desires, then come join us for this fun, informative event. Atlanta REIA is very excited to partner up with Flipping Atlanta to bring you this new educational and networking experience. Flipping Atlanta is the local networking chapter for Flipping America, a nationally syndicated radio show about real estate investing. 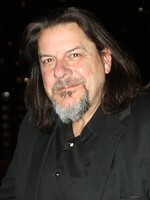 The show originates in Atlanta, Georgia and the program host, Roger Blankenship is often on-hand to lead the group. presentation is recorded for inclusion on the broadcast and attendees become part of the the live studio audience. 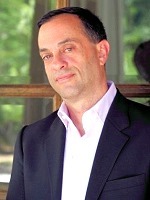 This month, hear Peter Pasternack’s story, how he got into real estate, what he’s up to today, and ask him your real estate questions. As fun as it is, the show isn’t the entire program. Bring your deals and be prepared to share. Cash buyers will be in the room. Select vendors will be on hand with products and services to help you. Whether you are brand new, curious, or an experienced investor, there will be something here for you.